MSBTE Hall Ticket 2019 has been released. Students can download MSBTE Summer Hall Ticket from this page. MSBTE Hall Ticket can be downloaded either by enrollment no or seat number. MSBTE Hall Ticket is released for all the eligible students. It is the responsibility of the candidate to download MSBTE Hall Ticket within the prescribed date. Students must carry their MSBTE Hall Ticket to the exam centre. No candidates shall be entertained in the exam centre without the MSBTE Hall Ticket Summer 2019. Candidates appearing for the exam must carry their Identity card along with the hall ticket. Check the page for MSBTE Hall Ticket 2019. Latest: MSBTE has released Candidate Hall Ticket For Summer 2019 Examination. Download the hall ticket and take the print on A4 paper. If a student faces any issues while downloading the hall ticket contact the respective college principal/HOD. Maharastra State Board Technical Education (MSBTE) Mumbai, has released the Time Table of Summer 2019 examination for the various program. The candidate must check timetable first, according to the timetable they have to download the admit card for their exams. After downloading the MSBTE Hall Ticket candidates must verify the printed details on it. Candidate can check the table for the link to download MSBTE Hall ticket 2019. Admit Card: Click Here to download MSBTE Hall Ticket 2019 for Summer Exam 2019. How to Download MSBTE Hall Ticket 2019? Candidates can download their hall ticket through the link provided above. MSBTE Hall Ticket can be downloaded by entering Enroll No or Seat No. to download MSBTE Hall Ticket Summer follow the steps mentioned below. Enter your Enroll No or Seat No. Check the list of printed details on MSBTE Summer Examination Hall Ticket 2019. 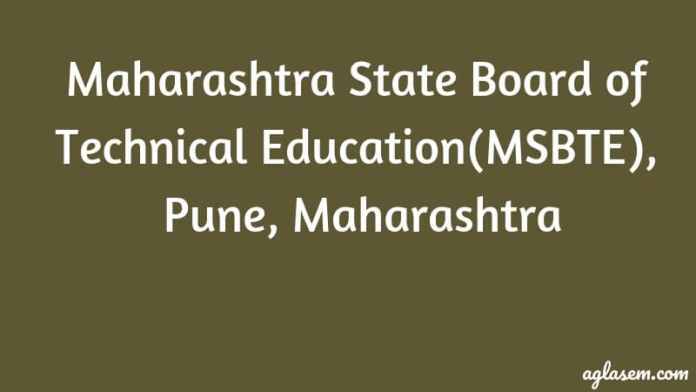 MSBTE Summer Hall Ticket 2019 is released by Maharastra State Board of Technical Education. MSBTE will release the hall ticket only for the eligible candidates. MSBTE hall ticket is the pass to appear in the examination. The hall ticket holds the necessary information like candidate name, exam centre, enrol no, course name etc. The candidate can check the hall ticket to know their exam centre name. A candidate will be allowed to write the exam if he has the hall ticket issued by MSBTE only. MSBTE hall ticket printed online will be valid for appearing in the examination. Maharastra State Board of Technical Education releases the exam result online at the official website. MSBTE releases the result within the one of exam completion. Students appearing or appeared for the examination can check the MSBTE Result either by “candidate seat number or enrollment number”. A student shall be considered to pass the exam if he/she secure the minimum of 40% marks in aggregate and clear all the paper appeared in the exam. All the best for the examination. For any query regarding MSBTE Hall Ticket Summer 2018 make comment.